CROCKETT – By a vote of 3-2, the Crockett City Council agreed to sell the former state school property to Crockett ISD on Monday night, Nov. 6. The property has had a checkered history since the Texas Youth Commission closed the doors on the Crockett facility in 2011. Following the closure, the facility sat empty for nearly three years. 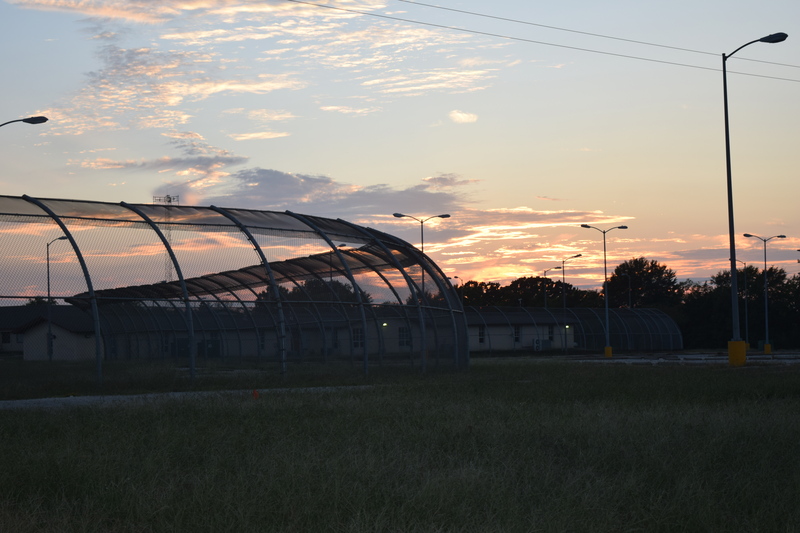 Cornerstone Programs moved into the facility in mid-2014, but because of a political backlash led by State Sen. John Whitmire (D – Houston), Cornerstone was closed before it even had a chance to get off the ground. Once again, the state school sat empty for another two years until Houston-Serenity Place moved in. From the start, there were staffing, student and record keeping issues and in late September of this year, the Texas Department of Child Protective Services pulled Serenity’s license. Once Serenity had cleared out of the facility, CISD expressed interest in purchasing the campus. Another group, hoping to install a residential treatment facility (RTC) at the 1701 SW Loop 304 location, had also expressed interest in purchasing the facility. During the Monday night meeting, the city council was asked to consider the sale, lease or conveyance of the Crockett State School property to a third party and to determine the terms of any sale, lease or conveyance. 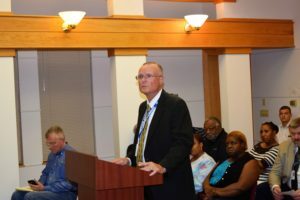 CISD Superintendent Terry Myers along with a contingent of CISD board members and CISD faculty were in attendance at the council meeting. They were joined in the council chambers by Brain Nation Superintendent Bruce Rockstroh and several administrators of the charter school. When the agenda item came before the council, Rockstroh was asked if he would like to address the civic leaders. Myers followed Rockstroh to the podium and expressed his appreciation to the council for entertaining the idea of allowing the school district to purchase the facility. “We were under the impression that you guys were going to make a decision and then meet with the individual boards in order to work out the details. So, I’m a little unprepared, however I am prepared to make an offer on the facility,” he said. The CISD superintendent also said he had recently heard Angelina College may be closing down some of its satellite campuses. “What a great opportunity to be able to offer an educational facility to Angelina College so they can continue to so some of if not all of the vocational training they are doing in this community already,” Myers said. Another reason for the district to purchase the facility was to do what was best for the community. “This board and I agreed – four years ago when I came here – to make decisions based on not just what was good for our school district but what was good for the entire community. I can only speak for the last four years but what I have seen at this facility during the last four years has not been good for Crockett,” he said. “I do not believe this council can go wrong selling this facility to the school district. WE are stable, we are not going to go under financially and we want to offer you $650,000 – cash – up front and the facility we use for our maintenance and transportation. Right now that facility is on the books for, I believe, $61,000,” Myers said. After both Rockstroh and Myers concluded, City Administrator Johns Angerstein addressed the two entities. He explained the school district’s offer was the one he favored and offered Rockstroh a chance to change his offer but Rockstroh held the line at $750,000. City Attorney Bill Pemberton was asked about the sale and said the sale to the school district would not require any additional measures but selling to a private entity would require additional documents. Crockett Mayor Joni Clonts suggested the council could consider the matter in executive session but Pemberton informed her the decision and discussion needed to be held in an open meeting. 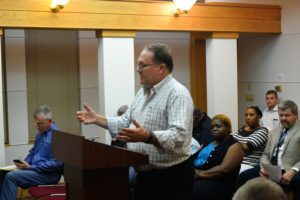 A brief discussion was held on the possibility of tabling the discussion but after Councilman Ernest Jackson gave a lengthy discourse on his thought process, Mayor Pro Tem Mike Marsh made a motion to sell the state school facility to Crockett ISD. Council person Rita Rodriguez seconded the motion and when the votes were cast, the result showed the measure passed by a margin of 3-2, with Jackson and Councilman Darrell Jones voting against the motion.